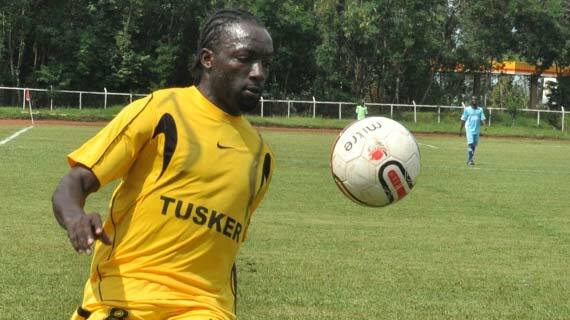 Former Tusker FC striker Itubu Imbem has landed a two and a half years deal at top Yemen soccer team Al Tilal SC. Al-Tilal Sports Club is one of the leading clubs in Yemen and is based in Aden, Yemen. Itubu who has been away for the past one week signed the deal on Tuesday morning and says he is ready for a new experience thanking Kenyan fans for being part of his growth and development during his stint at the KPL.Before joining KPL champions Tusker FC mid last season, Itubu played for AFC Leopards. Imbem ,a Congolese national ,had a one year contract with Tusker signed in June 2011 and had five months remaining on his Tusker contract. “Tusker is a great club and I thank the coach and the entire team for allowing me an opportunity to be part of the team’s success where we won the championship. I wish them all the best this season and in their CAF champions league as am confident the team is capable of making Kenyans proud.” He added.